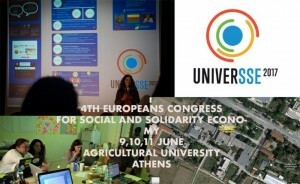 A report by Mary Wilkins of Universee, the 4th Annual Congress of Social Solidarity Economy, Athens 2017. Refugee Action Greece is, of course, at the centre of current migration. Speakers from the Cooperative Call Centre in Thessaloniki and the Alkyone Refugee Day Centre talked about refugee-to-refugee help, with legal advice and support, which give power to both the giver and the recipient, using different models of care from the standard charity one, and transforming relationships in the process. A delegate from Technet in Berlin described self-run migrant job creation initiatives, which include local German unemployed people, and which provide real jobs meeting local needs. 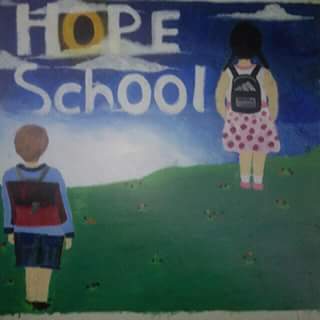 Refugees and education: The Open School of Immigrants in Piraeus has 685 adult students this year, from the nearest refugee camp and from the locality. Students learn Greek, English and a host of other languages and skills, which are having an impact on their employability and which give them more independence. This school is run by volunteers, and the students and staff together make decisions and enjoy cultural events, thereby creating a safe and supportive community. Another speaker from Skaramagas refugee camp described the process of integrating refugee children into local schools. Despite the economic crisis, the Greek government provides free education at all levels to all young people, including refugees. Initially local parents were hostile to refugee children studying in the same class as theirs, but with time, integration and friendships have flourished. 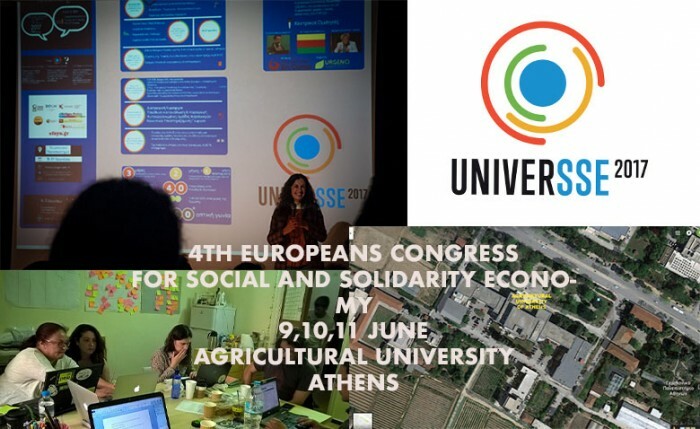 These initiatives both respond to the challenge of unplanned migration and economic difficulties and attempt to create new ways of working and new social relationships based on solidarity and mutual respect. One session looked at examples of ways to achieve this through Time Banks and local exchange trading systems. In a situation where many people have little or no money, alternative ways of exchanging goods and services transform lives and build communities. A speaker from Mesopotamia School in Athens described how teachers provide free classes, but in return receive work such as plumbing or childcare from parents through a time bank, and record of services performed. The school itself was created from a ruined shell to make a welcoming building (with a barbecue, bar and social space in the garden), by volunteer parents. This school has been functioning for 11 years and is growing. A delegate from Time Bank in Finland outlined how a similar community, of 3000, have been sharing services since 2009, and meet once a month to make decisions. Overall the congress was an eye opener. In tough times like these, it is heartening to know that positive, imaginative initiatives are transforming lives and sustaining people excluded from key aspects of society. The solidarity model seems to be working, and creating long term community bonds which, be it in a small way, are having a profound impact. This entry was posted in Archive, Events, News, Reports. Bookmark the permalink.